Mika and Steve had such a magical, romantic, no-frills wedding and I loved every second of it. 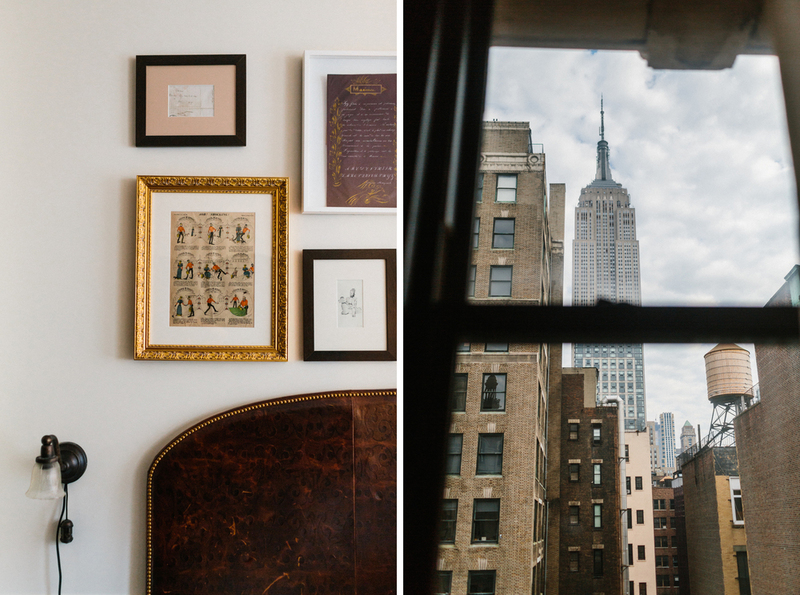 We began the day getting ready in a suite at the amazing Nomad Hotel in Manhattan. 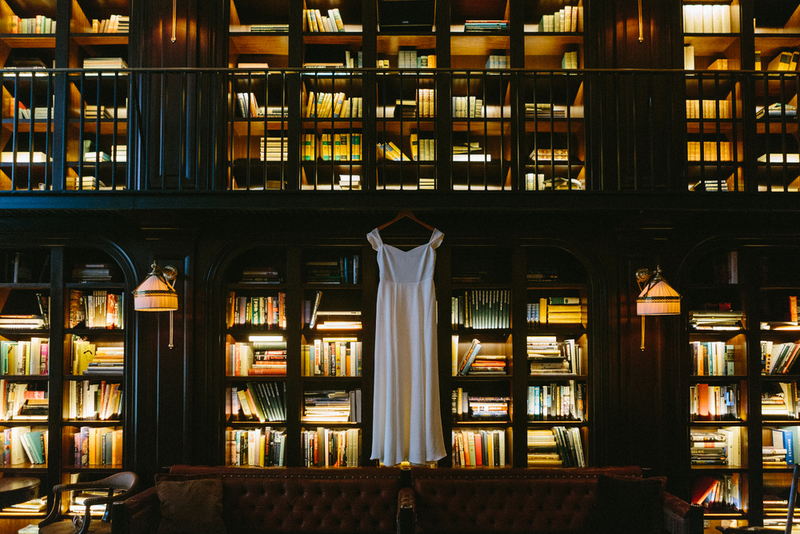 This was extra special for me because I'd known about The Library (a stunning lounge + library inside of the hotel) long before I even moved to NYC. Never in my wildest dreams would I have thought that I'd get to shoot here one day! It did not disappoint! 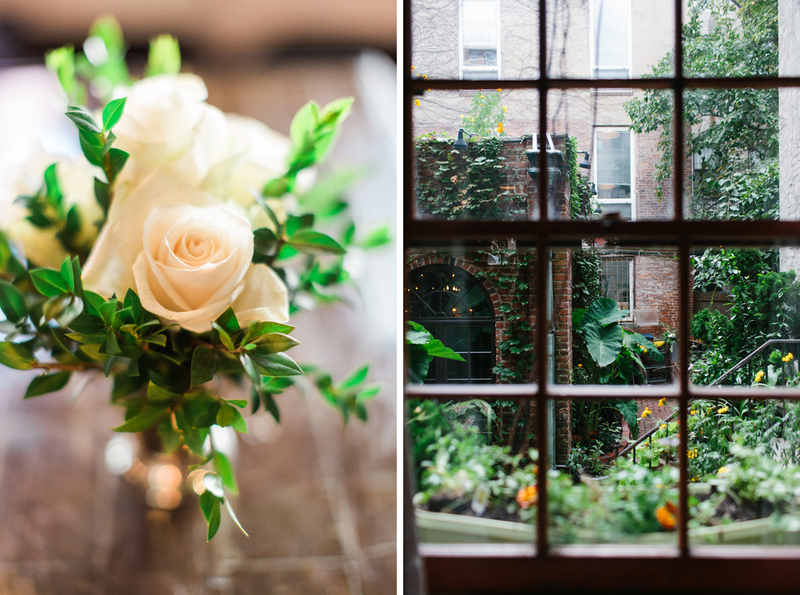 A small and intimate ceremony (with lunchtime reception) was held at a charming little restaurant in West Village called One If By Land, Two If By Sea. 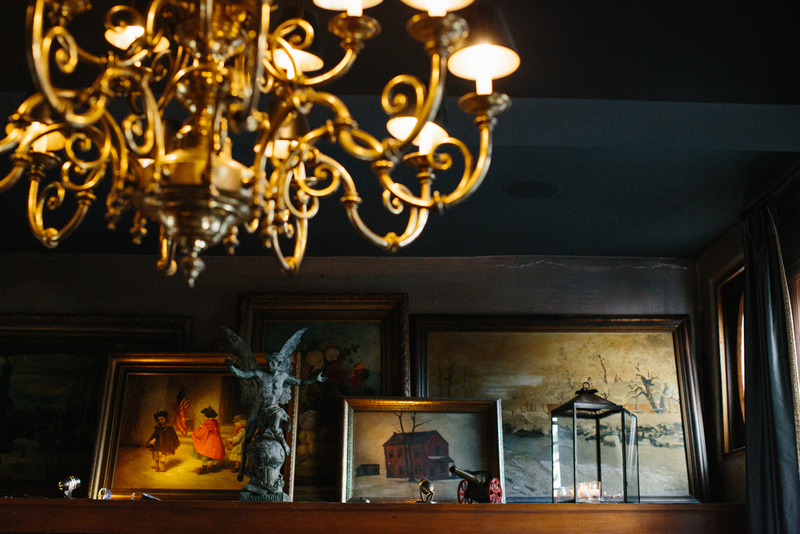 I loved the extravagant cluster of chandeliers and vintage, large brick walls, and gold-trimmed paintings. Mika looked absolutely stunning in a dress from The Reformation, and the newlyweds had some beautiful moments in the small garden courtyard behind the restaurant. Bridal portraits taken outside of One If By Land, Two If By Sea, in West Village, Manhattan. The ceremony inside of One If By Land, Two If By Sea, in West Village, Manhattan. This beautiful lounge-like space upstairs in the restaurant that was perfect for cocktail hour. 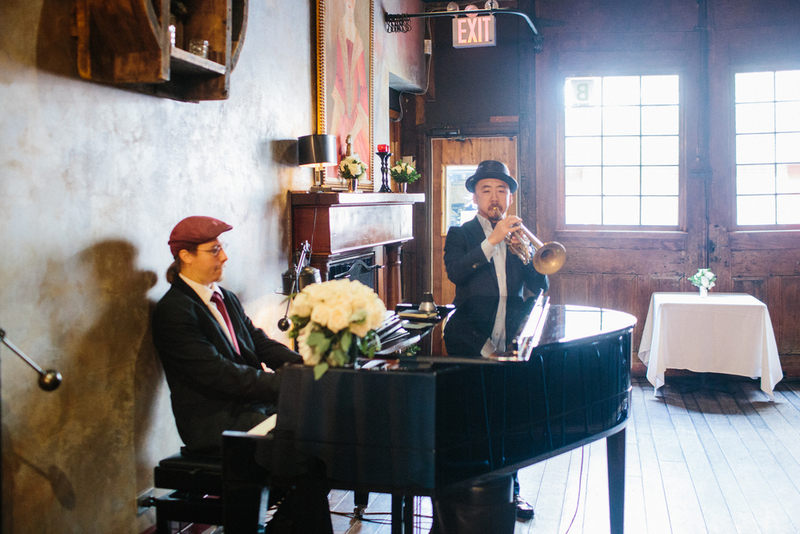 The ceremony space was quickly transformed into the reception area for some fine dining.